Let me make one thing perfectly clear before you start reading this article. Negotiations and or treaties with Muslims are ignorant, futile and dangerous. Read the Muslim Hadith. If you think otherwise, then please give me one example of a lasting treaty with any Muslim organization and/or country. The only wise approach to Iran is to order them to unconditionally cease a nuclear endeavor of any kind. Iran’s so-called need for peacetime nuclear power is a ruse, they have sufficient cheap power in fossil fuel for an eternity. DEAL, IS TO IMPOWER IRAN AND DESTROY THE WEST! Obama has known for years that Iran is just months away from a nuclear bomb, yet he kept it to himself until it was convenient, reported Bloomberg Tuesday. According to the report, the Obama administration has long estimated a two- to three-month breakout time, yet only declassified this information April 1, 2015 “just in time for the White House to make the case for its Iran deal to Congress and the public”. That same year, in an effort to downplay Israeli Prime Minister Benjamin Netanyahu’s more alarmist estimate of six months, but Obama told the Associated Press in October, “Our assessment continues to be a year or more away. And in fact, actually, our estimate is probably more conservative than the estimates of Israeli intelligence services.” I was In Israel at the time. Read an article I published May 27, 2009, about Obama’s warning to Israel about attacking Iran. And another on March 02, 2015 about Obama’s threat to shoot down Israeli planes if they chose to bomb Iran. Kenneth Pollack, a former CIA analyst who is now an Iran expert at the Brookings Institution, told Lake that estimating breakout times is an imprecise business. “The idea there is such a thing as a hard and fast formula for this is nonsense,” he said. “All the physicists come up with different answers depending on what inputs they use.” Bear in mind that the Brookings Institution is affiliated with and supported by the Muslim Brotherhood operating out of Doha Qatar. This makes Obama’s manipulative use of a foreshortened timeline all the more sinister. 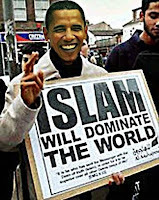 On April 2, Obama identified one benefit of the nuclear framework deal, saying, “even if it violated the deal, for the next decade at least, Iran would be a minimum of a year away from acquiring enough material for a bomb.” Obama knows darn well that Iran will in fact violate any deal, he has read the Muslim Hadith and follows it to the max. Allowing Iran to achieve nuclear capability is exactly the same as ISIS having a nuclear weapon. Iran is simply using and supporting ISIS to carry out its dirty work in the Middle east, the Sinai Peninsula and in North Africa, and eventually Europe and America. When or if Iran builds a nuclear warhead this may spark the Biblical war of Armageddon on the Tel of Megiddo or the valley of Jehoshaphat. 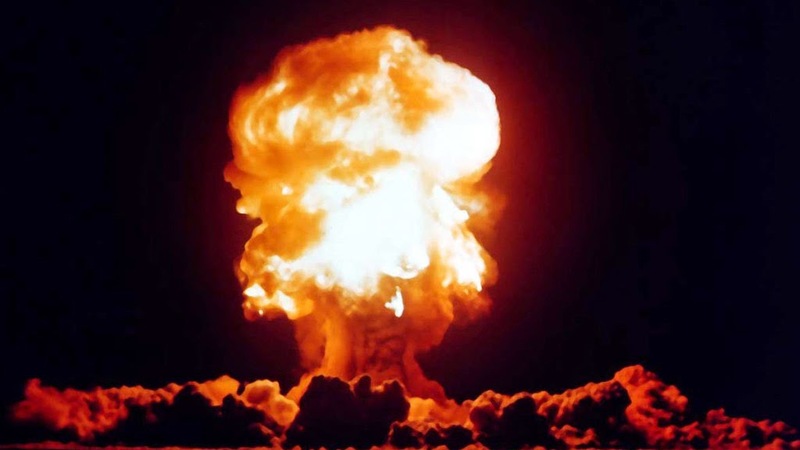 Whether one believes in a literal Armageddon or not, I don’t believe that anyone could possibly ignore the danger of Iran/ISIS with a nuclear weapon. THE BOTTOM LINE: One would have to be willfully and wantonly ignorant not to see the picture unfolding right in front of us. 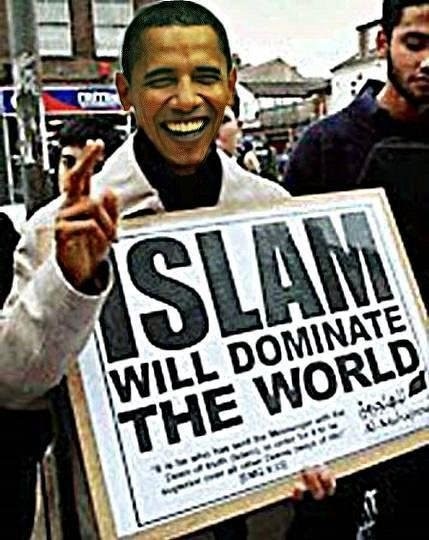 I have claimed since Obama first ran for president, that he would do everything he could to destroy America and promote the World Nation of Islam. This is just another piece of the enormity of evidence that Obama is the enemy of Western freedom, culture and liberty.